Sahara Group chief Subrata Roy and three other executives of the company have been summoned by market regulator Securities and Exchange Board of India (Sebi) on April 10. It has asked Mr Roy to submit details of his assets, bank accounts and tax returns by April 8. 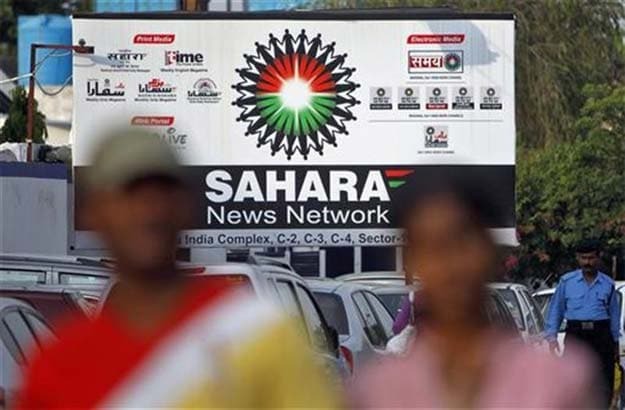 The regulator has warned that it will go ahead with a sale of the assets it had frozen in a February 13 order should Mr Roy and the three other Sahara executives fail to appear on April 10. The matter pertains to an earlier move by Sebi to order a freeze on the assets and bank accounts of two Sahara companies — Sahara Housing Investment Corporation and Sahara India Real Estate Corporation — as well as the bank accounts and properties of Mr Roy and three other directors of the two firms. Sebi and the unlisted Sahara group have been locked in a long-running dispute relating to a Supreme Court order asking the Sahara group to refund more than Rs. 24,000 crore of investors’ money raised by two of its companies through the issue of bonds. Sebi had been asked to facilitate the refund. The group was ordered in August to repay sums raised by what the Supreme Court called “dubious” means from nearly 30 million small investors, with 15 per cent interest. Two Sahara firms — Sahara Housing Investment Corporation and Sahara India Real Estate Corporation — raised a total of Rs. 2,578 crore in bonds as of April 2011, according to Sahara court affidavits cited by Sebi. In December, the court ordered Sahara to pay an initial deposit of Rs. 5,120 crore with Sebi, pay another Rs. 10,000 crore in the first week of January and the remainder in the first week of February. The Sahara companies, however, have said that only Rs. 2,620 crore remains to be refunded as they have repaid the remainder, an assertion the regulator disputes. After expiry of the court-set deadline for the refund, Sebi ordered the freeze. The orders escalated the battle between the regulator and Sahara. In a statement issued after the Sebi order, Sahara said the directives were based on “old facts” and had not taken into account redemptions it has made since January 2012, adding that its total liability was unlikely to exceed the Rs. 5,120 crore it had deposited with the regulator. It added that the orders for attaching assets of individuals are “incorrect”. Mr Roy then approached the Securities Appellate Tribunal (SAT) against the attachment orders issued by Sebi. The SAT hearing was postponed on Tuesday to April 13. Sahara contends that Mr Roy was neither issued a show-cause notice nor did Sebi follow the procedure of securing an enabling order from a judicial magistrate. Moreover, it claims that Mr Roy was not even a director of the two concerned companies. The unlisted company also argues that the Securities and Exchange Board of India Act, 1992, does not give the market regulator the powers of seizure and attachment. Sebi, however, has sought dismissal of the plea by SAT. According to the regulator, the Supreme Court order in the case was self-explanatory and executive in nature. In a separate move, it has also approached the Supreme Court seeking orders for detention of Subrata Roy and this plea has been posted for hearing in the first week of April. This entry was posted in Uncategorized and tagged 3 executives on April 10 - India, Cardiac, Cardiothoracic, Dr, Dr Sanjay Kumar Cardiac Cardiothoracic Heart Surgeon India, google, Heart, India, Kumar, Sanjay, Sebi summons Sahara chief Subrata Roy, Surgeon, yahoo. Bookmark the permalink.